East Coast Metal Systems is an industry leader in metal panel manipulation and has experience working with all types of composite material. 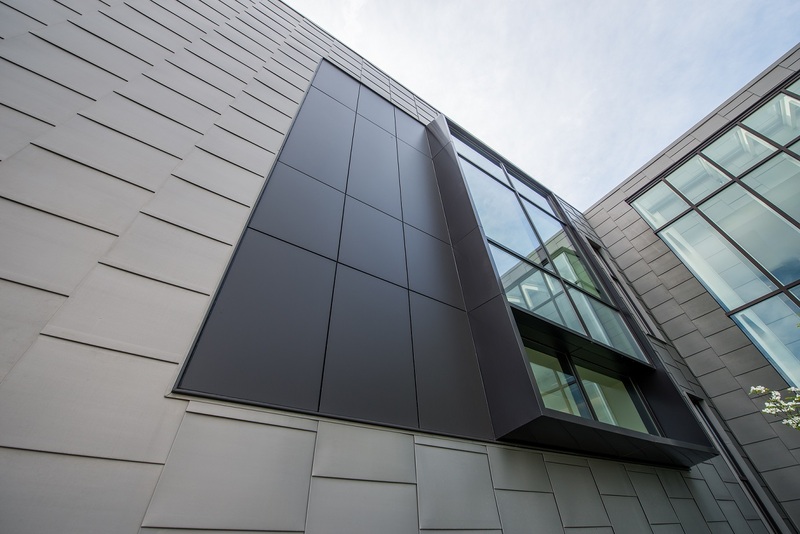 Our EC-100 Wet Joint ACM/MCM Route & Return System™ and EC-200 Dry Joint ACM/MCM Rainscreen System™ are fully-tested panel systems that utilize composite material and serve as a durable and versatile façade compatible with virtually any project specifications. Metal Composite Material (MCM) utilizes steel, stainless steel, aluminum, titanium, copper, and zinc, whereas Aluminum Composite Material (ACM) utilizes aluminum only. 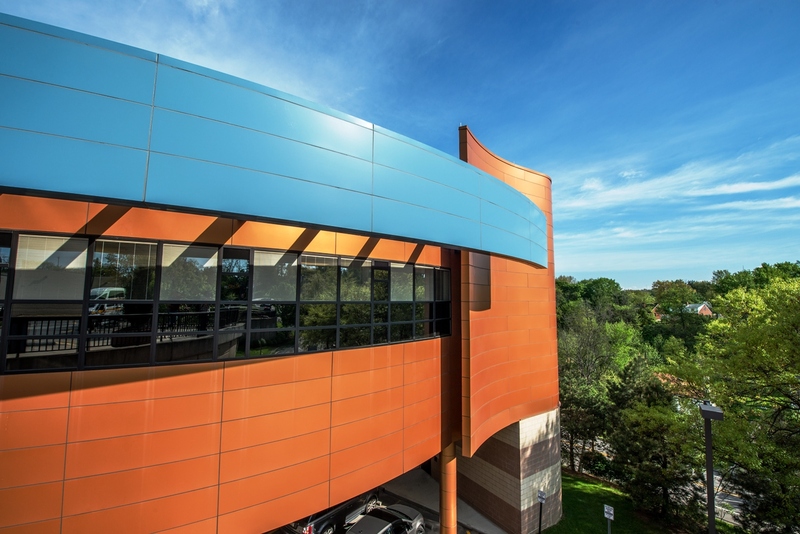 ACM/MCM panels create a versatile architectural façade that is fully customizable for any project design and are manufactured through a process of bonding two metal skins to a thermoplastic core, which allows for flexibility and durability. The aesthetic appeal of ACM/MCM panels is apparent in their sleek, modern finish and practical appeal because they are weather resistant, easily maintained, and long lasting. These panel systems are also fire retardant, and East Coast Metal Systems has experience working with FR and PE cores to achieve the desired fire rating. ACM/MCM panels are available in a variety of finishes and are customizable in terms of thickness, texture, color, shape, profile, and application method. East Coast Metal Systems has experience with panel manipulation for a wide variety of ACM/MCM panel systems, including National Fire Protection Association (NFPA) 285 assemblies, and can work with you to achieve the desired aesthetic and functional results for your project. With state of the art equipment and a skilled workforce, we offer significantly reduced lead times. “"Innovo Construction and ECMS have worked together for more than 5 years. I have personally worked with them for the past 3 years on multiple projects and I am glad to say that they have been successful projects. Dealing with everyone at ECMS, from their Sales Rep through Estimating, Project Management, Office Manager, and Shipping Department, have been a great experience; reason why we continue to do business with them. 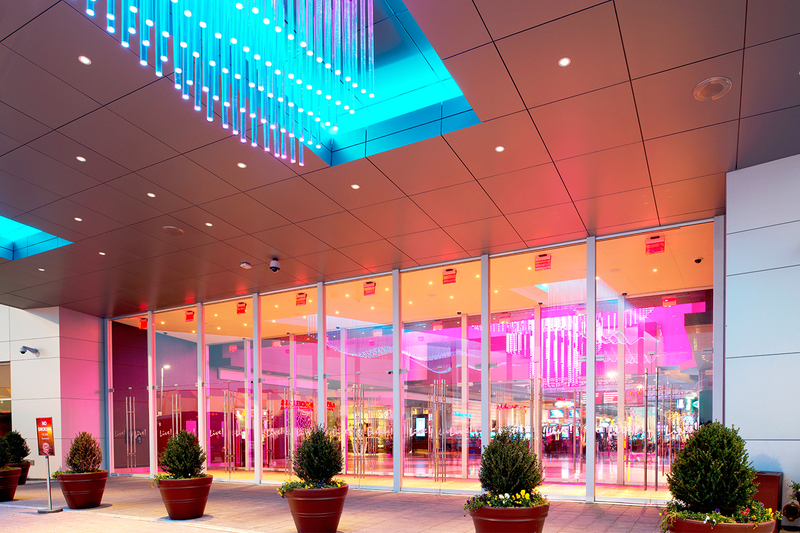 I can consider ECMS an asset and contributor to Innovo Construction’s success in the DC area.""